The Lalit Golf & Spa Resort Goa is an all suite resort nestled on 85 acres along the pristine Goan coastline. The resort, cradled by the majestic Sahyadari range along the confluence of the Talpone River, offers breathtaking view of the Arabian Sea. With a kilometer-long exclusive beachfront, it is truly one of the most exquisite beach resorts in Goa. The resort offers 255 suites, including 10 luxurious villas, a nine-hole links golf course. Moreover a holistic spa and six unique fine dining restaurants make The Lalit Golf & Spa Resort the perfect destination for relaxation and rejuvenation. The partnership between The Lalit Golf & Spa Resort Goa and Electrolux Professional is a special one. 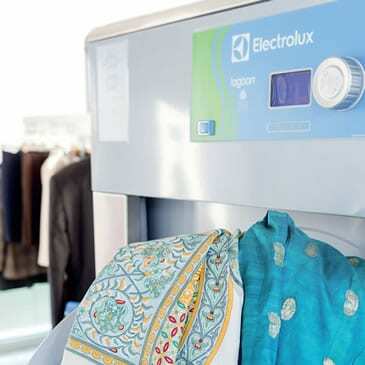 It can be considered one of the successful and long-standing Laundry installations for Electrolux that has continued to stand the test of time. The Laundry handles guests’ laundry, hotel linen, staff uniforms and Spa towels. The Electrolux 85 kg Washer can wash more the 1200 kg load per day. 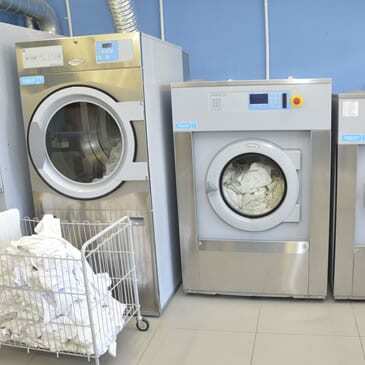 “Laundry service is the most important amongst five-star service offerings, as it meets the demand of discerning customers for better, quick and hygienic laundry, in daily hotel operations. The 25 Kg Electrolux washer is one of the best. It has been trouble free since 2003 and in 2012, we ramped up our operations with a 85 Kg Electrolux washer extractor. We continue to have smooth Laundry operations” says Mr. Vijay R Singh, Executive Housekeeper.